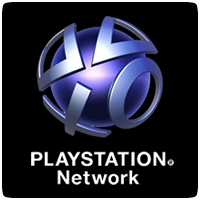 Sony has revealed that the PlayStation Network will be undergoing scheduled maintenance tomorrow, Thuesday, 7th November 2013 for a total of 11 hours. The maintenance window will begin at 2:00 PM GMT and last until early Friday morning at 1:00 AM GMT. As per usual, during the maintenance window, you won’t be able to access any PlayStation Network services, including Account Management, the PlayStation Store and PlayStation Home. If you would like to play online, be sure to login to the PlayStation Network before the maintenance window begins.